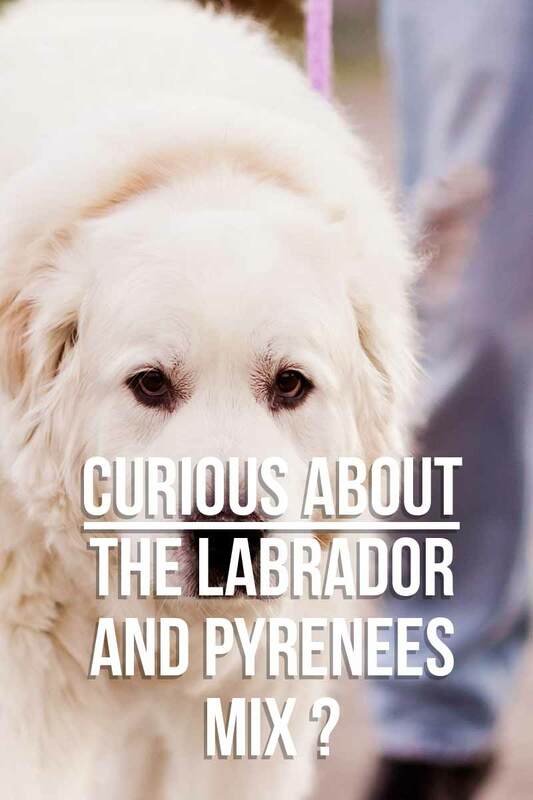 Are you curious about the Lab and Pyrenees Mix, also known as the Pyrador? Have you been wondering if he would suit your family? Then you’ve come to the right place! But first, what is crossbreeding, and why is there so much controversy associated with the practice? Crossbreeding is a relatively new practice and there is some debate regarding the matter. For example, many people don’t consider crossbreeds to be breeds in their own right. 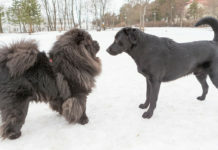 However, most supporters of crossbreeding insist that while mutts have a lineage that links them to no particular breed, crossbreed dogs have only two purebred parents. 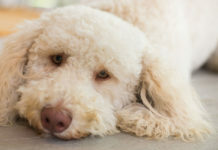 There are also those who regard crossbreeding as a solution to generational health issues that have plagued purebred dogs as a result of over-breeding. You can learn more about some common objections to crossbreeding by visiting here. The Pyrador dog is the offspring of the Labrador and the Great Pyrenees, or in other words, half Lab, half Great Pyrenees. He is a newer crossbreed, so there is still very little known about his origin. 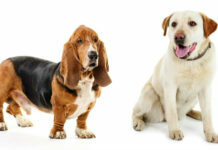 However, diving into the histories of both breeds can give us some fascinating insight into this regal, intelligent mix. Let’s begin with the Lab! The Labrador was first registered in the United States in 1917, and his popularity skyrocketed from there. Today, the Lab sits at number one on the AKC’s registry as America’s most popular dog breed! His popularity is likely thanks to his gentle nature, his cleverness, and, most notably, his family-friendly reputation. 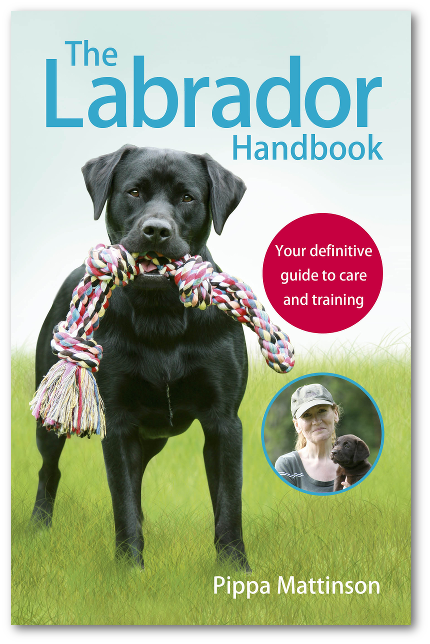 Hailing from northwest Newfoundland, Canada, the highly intelligent Labrador was once known as a “St. John’s Dog,” and he was a sporting breed. Now in modern times, the Lab is mainly bred to be a devoted family pet. But they are also known to be excellent service animals. Their intelligence and loyalty make them excellent support animals to their human counterparts. So, what about the Great Pyrenees? The Great Pyrenees is believed to have originated from the Pyrenees Mountains of southern France and Northern Spain. This is an extremely old breed, used for centuries by shepherds to guard livestock, where their bravery in going up against predators such as wolves and bears became legendary! 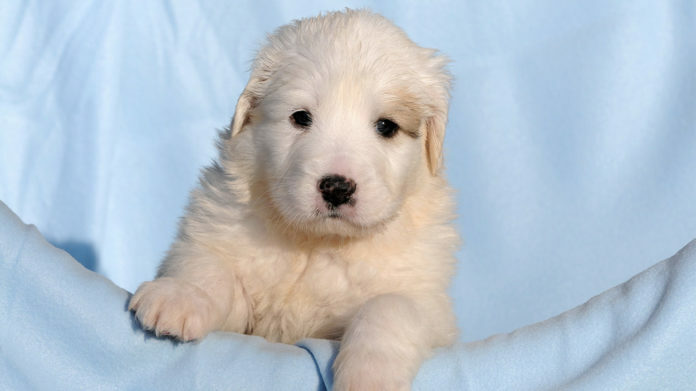 As time passed, the Great Pyrenees gained popularity throughout Europe. He was renowned not only for his magnificent beauty but also for his mild-mannered disposition. Eventually, the Great Pyrenees made his way to America in 1824, but he wasn’t officially recognized by the AKC until 1933. As with any first-generation crossbreed, the outcome in regard to things like temperament can be unpredictable. Crossbreed dogs can inherit behavioral traits from either purebred parent. However, taking a closer look at the parents of your potential Pyrador puppy can help to give us some insight on the behavioral traits the Pyrador cross could inherit. Let’s start by taking a look the Labrador. As previously mentioned, Labs are famous for their intelligence and cooperative natures. They absolutely love being in the center of fun family activities! However if left to get bored they can be destructive. We should also keep in mind that Labs are very high-energy dogs who require consistent and adequate exercise to maintain their health and happiness. Proper exercise will also help to reduce the chances of boredom-related damages to material goods in the home. Now let’s have a look at the Great Pyrenees! The Great Pyrenees is consistently and affectionately renowned as a gentle giant who loves to play and especially enjoys the snow! He is most famous for his mild-mannered temperament, but he is able to move swiftly to address anything he may consider to be a threat to his family. The Great Pyrenees does make a wonderful family dog, and he is patient and gentle with his own family’s children. However, he takes his watch-dog role rather seriously, so he should be supervised with outsiders. 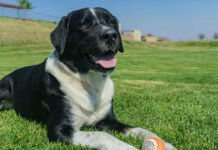 Because the Lab and the Great Pyrenees share some personality traits, a Pyrador owner can expect an intelligent, playful, family-friendly dog who enjoys being with his people and requires plenty of exercise. Gorgeous Tillie, the Pyrador. With thanks to Jeff for the photo. Still, keep in mind that the Pyrador can display the guarding instincts of the Great Pyrenees. For this reason, we recommend early socialization and training to keep your Pyrador, and everyone around him, happy and healthy. Just like with temperament, the Pyrador cross can inherit a wide range of physical traits from both his parents. This means that features like coat color, weight, and height could be left up to chance, depending on which purebred parent he favors the most genetically. It’s possible to get black, yellow or chocolate labs. With each color coming in a variety of shades. They can grow up to 25 inches tall and weigh up to 80 lbs. 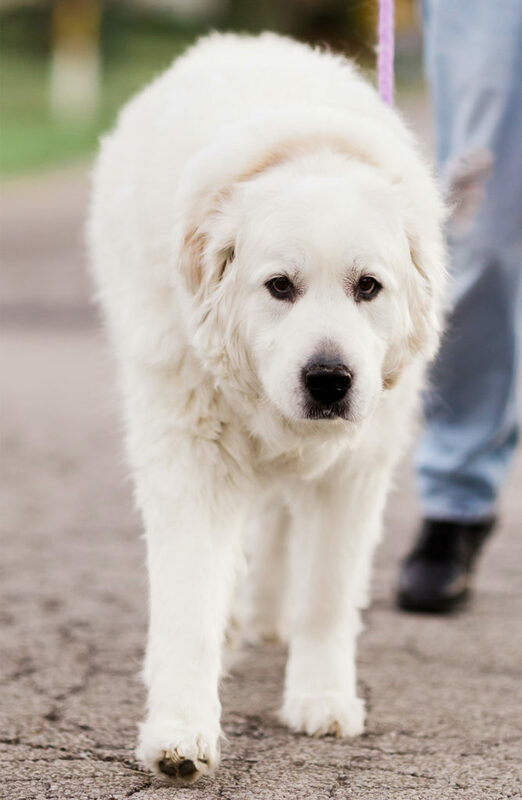 An adult Great Pyrenees looks bigger than he is because of his thick, durable coat. However, he really is a medium sized dog who will grow to be 25- 32 inches tall and can weigh up to 100 pounds. Keeping the above in mind, a prospective Pyrador owner can expect the Pyrador cross to be a medium-sized dog that grows up to be anywhere between 22-32 inches tall and weighs anywhere from 55-100 pounds. When it comes to the Pyrador, all of the above can vary due to the genetic traits of the Pyrador’s ancestors. For the most part, the Labrador Pyrenees mix should be easy to care for as far as grooming goes. Both of the Pyrador’s purebred parents’ coats are naturally weather and dirt resistant, which means bathing your Pyrador will only be required on occasion. Despite the high-maintenance look of the Great Pyrenees’ thick white coat, he is actually a pretty easy dog to care for and groom, and so is the Lab. The Lab and the Great Pyrenees are shedders, so their pups will need brushing at least once a week. More in molting season. Regular nail trimming and ear cleaning are also advised. Although the temperament of the Great Pyrenees and the Lab are quite similar in many areas, they differ slightly when it comes to trainability. Both the Lab and the Great Pyrenees are intelligent breeds, but while the Lab enjoys learning new things and is eager to please, the Great Pyrenees is more independent. 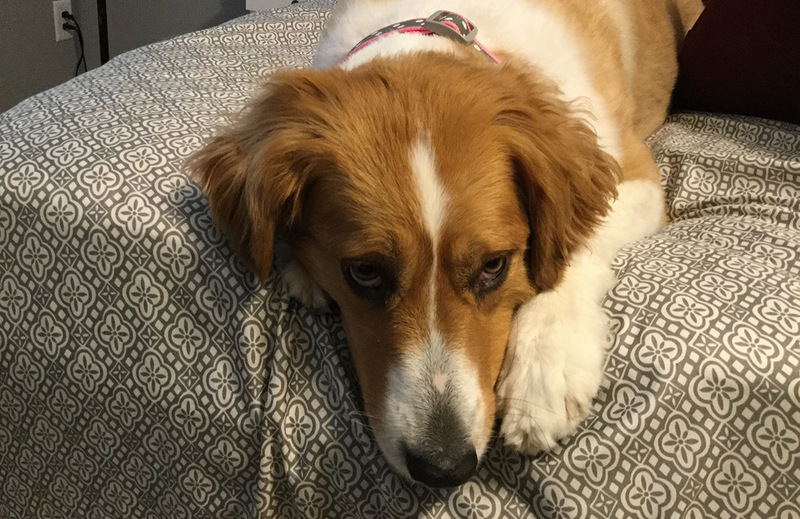 Keep in mind the Pyrador mix could inherit this independence from his Great Pyrenees parent, or he could be more prone to easy training like his Lab parent. Either way, we recommend proper socializing and training with your Pyrador. Always keep the training techniques positive and fun. Remember that training can be an excellent bonding opportunity for you and your Pyrador puppy. A healthy Labrador’s lifespan is 10-12 years. 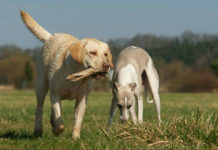 As with all breeds, some health problems are passed down from generation to generation, and the purebred Lab is no exception. Like the Lab, the Great Pyrenees has a life expectancy of 10-12 years. However, there are some inheritable health conditions to be aware of as well, including tricuspid valve dysplasia, degenerative myelopathy, bloat (gastric dilation and volvulus) elbow and hip dysplasia, shoulder osteochondritis, factor XI deficiency, osteosarcoma, ectropion, entropion, progressive retinal atrophy, and skin issues. Because the Pyrador is a cross between the Lab and the Great Pyrenees, he could be predisposed to any of the above inheritable health issues of his purebred parents. Remember that early health screening in your Pyrador crossbreed puppy can help avoid or prepare for any future genetic problems. You can learn more about the health testing requirements as specified by the AKC for the Labrador and the Great Pyrenees here. Because both the Great Pyrenees and the Lab can be prone to obesity and overeating, it’s important to have a healthy feeding plan for your Great Pyrenees and Lab mix. We recommend quality food brands as specified by your veterinarian. It’s also important to provide the proper portions dependent on your Pyrador mix’s age and weight. Doing this can also help reduce the chance of your Pyrador mix suffering bloat, which both his purebred parents are predisposed to, as mentioned above. Both the Great Pyrenees and the Labrador Retriever are known to do best in homes as opposed to apartments, and the same goes for their Pyrador offspring. The Pyrador will also thrive with the owner who lives an active lifestyle and enjoys being outdoors. Although he makes an excellent family dog, keep in mind that the Pyrador could be fiercely protective of his family, and should be supervised around outsiders. If he inherits his Labrador parent’s zest for energy, then he could also be prone to chewing and hyperactivity. Of course, with a mixture of exercise, training, and early socialization, the Pyrador will make a wonderful family companion! 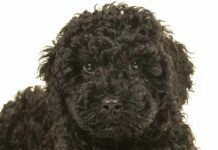 If you’ve decided that the Pyrador is the perfect dog for you, then finding your new puppy from a reputable, responsible source is of the utmost importance. You can check on the location of a Pyrador rescue in your area, or go to an animal shelter. Although shelters do carry all kinds of breeds, mutts, and crossbreeds, finding a specific dog at a specific time in a shelter can be hit or miss. Most shelters will also cover initial vet fees, ensuring the dog is adoptable and ready for his new home. Pyrador puppies from breeders cost anywhere from five hundred to a thousand dollars. Again, the important thing is to do your research on the breeder and make sure you look into the history of the Pyrador’s purebred parents whenever possible. Since your new pup can inherit tendencies from either parent, be sure to ask about behavioral issues and health concerns with parent dogs when looking to adopt any crossbreed. You can also ask about any health or temperamental problems with previous litters from the same parents. As we’ve learned, the Pyrador crossbreed can make a wonderful and fun family pet! With proper training, health screening, and care, his family will love and enjoy him for years to come! I have a one year old pyrador and i use her for a esa dog she is around 55lbs and a great dog hates water, not like taking baths still has a little bit of a chewing problem but not as much as when i first got her, hates being by herself, gets along great with my cat, and is friendly with people and her half brother who lives down stairs from me i love her a lot and wouldn’t give her up for the world. Thanks for the article. Just learned my dog is called a pyrador. I have a 4 year old that is 90 pounds, body, coat, and feet of pyrenees, face and legs of lab, independent, protective, hates water/likes snow, no chewing issues, lastly friendly with dogs and people.